Saturday, March 3rd marks the 9th anniversary of the conception of 33 Dimensions. While some may be looking forward to the more celebrated 10th anniversary, the number 9 is something special to me. 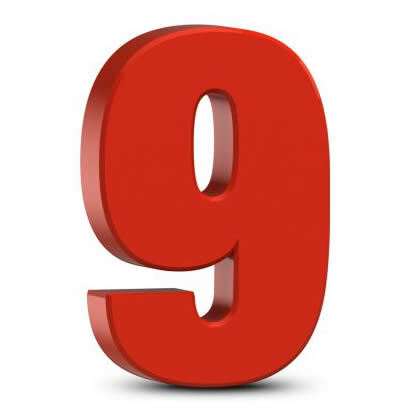 I’m kind of a freak about numbers and tend to assign both good and bad vibes to certain values – but there’s one that tops them all, the number 9. In fact, the “33” in 33 Dimensions comes from square root of 9 as well as the date this company was founded (03/03/09) which also happens to be an equation (3×3=9). The number ‘9’ was also present in other endeavors which I’ve undertaken through the years. My first professional music recording in 2005 was for an album which had 9 songs and was packaged with an album cover design that depicted 9 roads leading to 9 mountain peaks. Later on, my first international release was on 09/09/09 with Imaginary Lines 33 and current plans for an updated compilation of some of that material will be released on the 9th anniversary of that album, this coming September. The number 9 is also my mother’s favorite number. A former Catholic nun, she was #9 in her convent in North Carolina and she has always been fascinated by the nine choirs of angels. On Mother’s Day in 2014, we launched a marketing initiative (partially in her honor) called Top 9 Lists which by the way is 10% more exclusive than your garden variety Top 10 List. In any case, I guess this is sort of a long-winded way of offering my sincere gratitude for helping us reach the 9 year mark in our business endeavor.